Years ago I sent this to my cousin Barbara. Recently her son sent it back to me. I’m so glad I sent it because I have no other such photos. 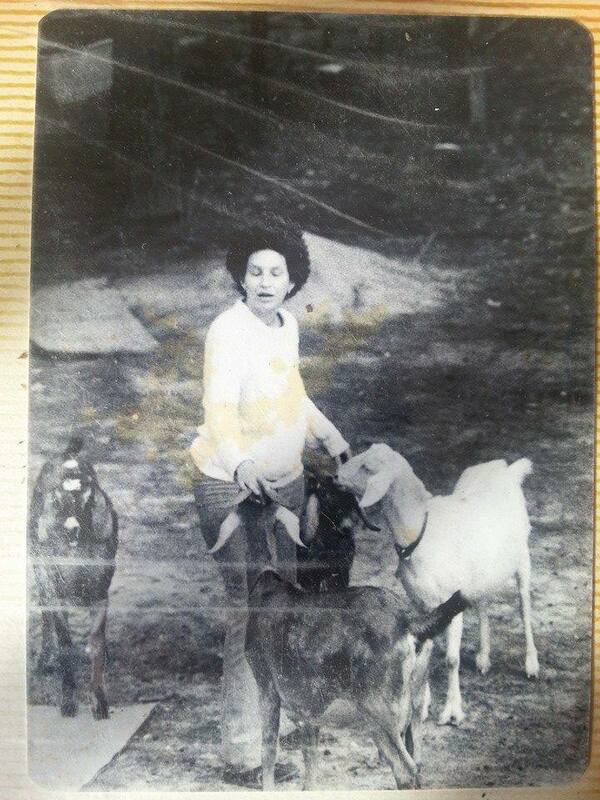 From 1976 to 1984 I lived in Mississippi and raised some goats, children and chickens. These are four of the goats. They needed their hoofs trimmed. I could talk their language. 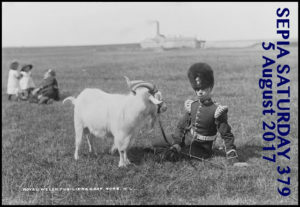 Recently I realized that it would have been a lot less trouble to go buy a couple of gallons of milk instead of milking all those goats twice a day, buying their feed and trying to keep them confined before I gave that up and just let them wander the area, losing garden after garden as they figured out how to break in and eat it. However, it was an experience for the whole family that would not have been replicated by buying milk. 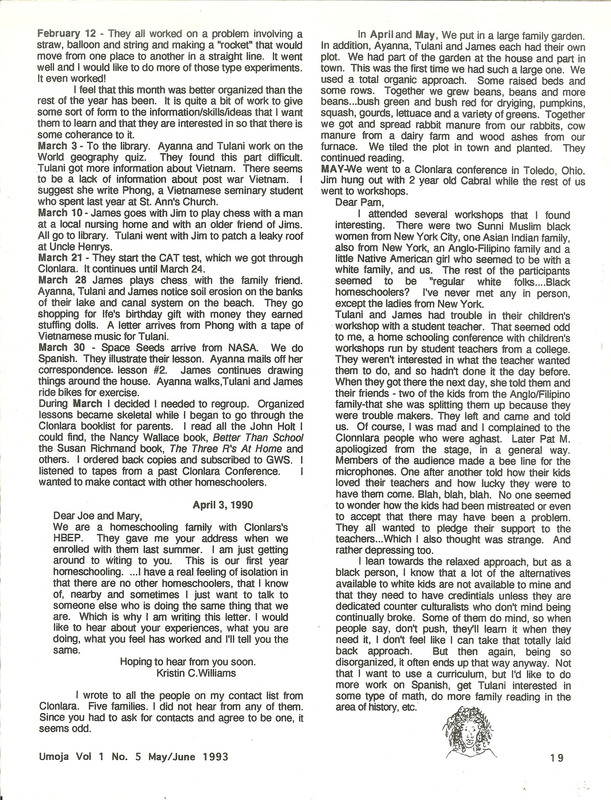 My sister Pearl interviewed me in 2010 about my interest and findings in family history research. I talked about some of the stories I’ve blogged about – Dock Allen’s Escape, finding Eliza in the 1860 census and slave documents. I have found more information since the time of this interview – court records about the land case between the Turners, newspaper articles, and several Wills from slave holders who owned my Cleages and Turners. It gives you a chance to hear my voice and my thoughts about how to start your research. I highly recommend being interviewed. I am enjoying listening to myself talk, for one thing. If you can’t find anyone to interview you, interview yourself! I think it makes a great addition to the legacy we are leaving for those following us. 2010 Story Corps interview with my sister Pearl asking me about my research and findings. 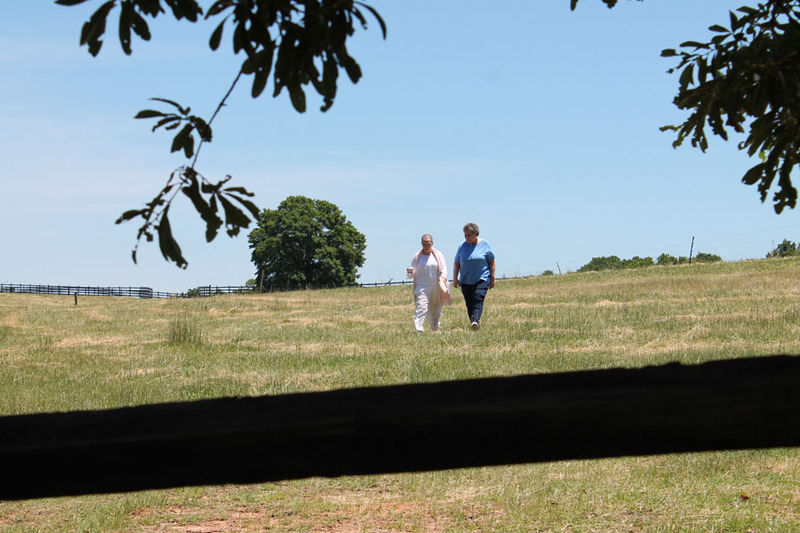 Me and Pearl walking through a field on cousin Ernest’s land – South Carolina, 2013. 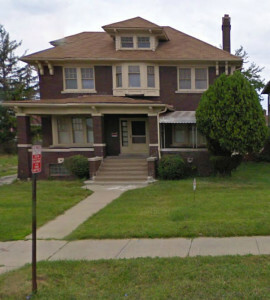 The house on West Grand Blvd looked like this one. 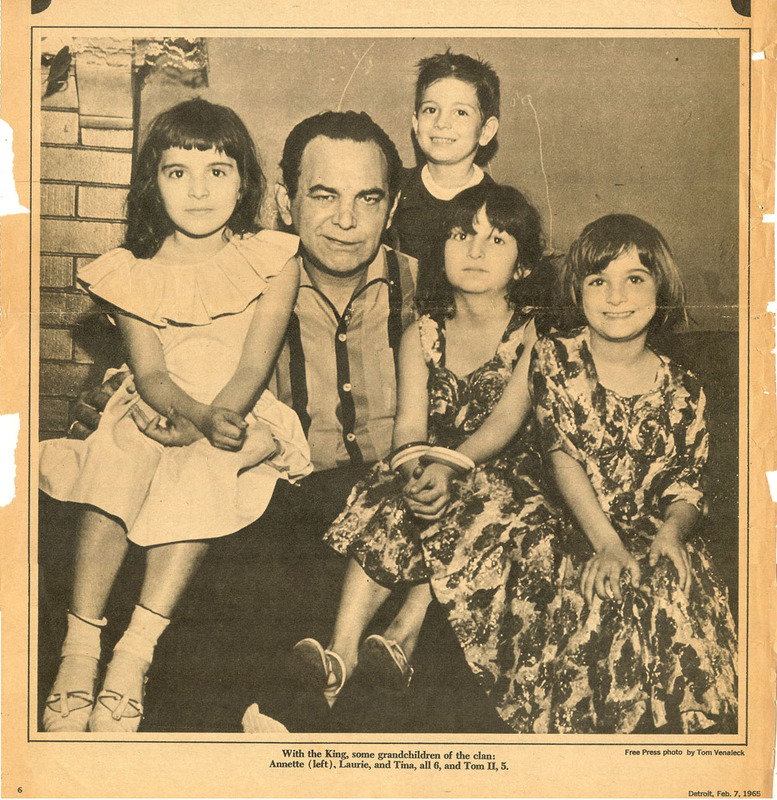 The first time I met Gypsies was the summer of 1964. I was 17, wearing a patterned skirt, my hair was long then, pulled back in a clip. I had on gold hoop earrings. My sister Pearl and I were walking down West Grand Blvd. to the Main Library. We passed a house like the one pictured above. Three little girls ran off the porch and began to walk down the street with us. “Are you Gypsy?” they asked me. I wasn’t, I told them. My sister assured them that we weren’t. They weren’t talking to her, they said. Was I sure? I was sure. When we got to the first cross street, they turned and ran back to their house. 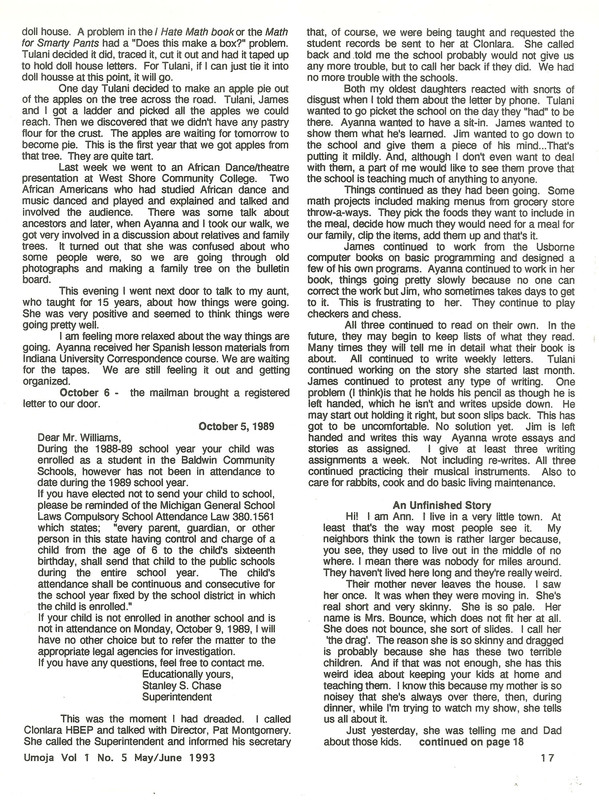 Several months later, an article came out in the Sunday Detroit Free Press Parade Magazine. There was a picture of the three little girls. 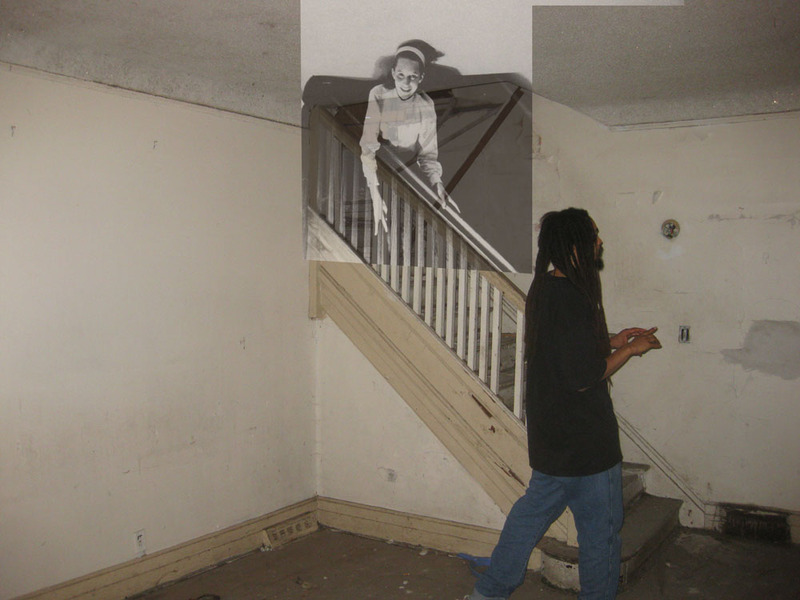 It was all about being a modern Gypsy in Detroit. The man was their grandfather, identified as the head of their family’s clan. 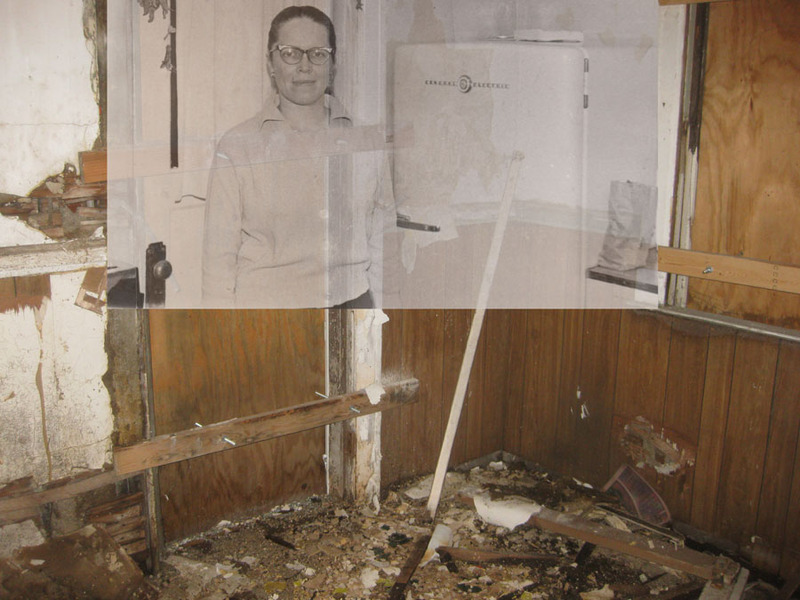 In 1968 I was an art student at Wayne State. I had been to the Utrecht art supply store on Woodward. As I was on my way back to Campus, some women were sitting on the porch of a large house. They were wearing long skirts and of various ages. “Want your fortune told?” One of them called out. What if it was a bad one? I thought. No, I called back and kept moving. I sometimes wonder what they would have told me was coming up if I had stopped. In the early 1980s I was living in Mississippi. One summer afternoon, I was visiting my friend Carrie Ann, when a woman about my age came by in a pickup selling sets of hand made wooden porch furniture. She had an incomplete set at a reduced rate and I bought it. She drove them down the road to my house and said I reminded her of her cousin. She reminded me of my cousin Barbara, I told her. No caravans of any kind were involved, but this is what I remembered when I saw the Sepia Saturday prompt for this week. To see more about travelers visit this weeks Sepia Saturday. My maternal grandmother, Fannie Mae Turner Graham, was born 129 years ago on March 12, 1888, in Lowndes County, Alabama. She died on August 13, 1974 in Detroit, Michigan. 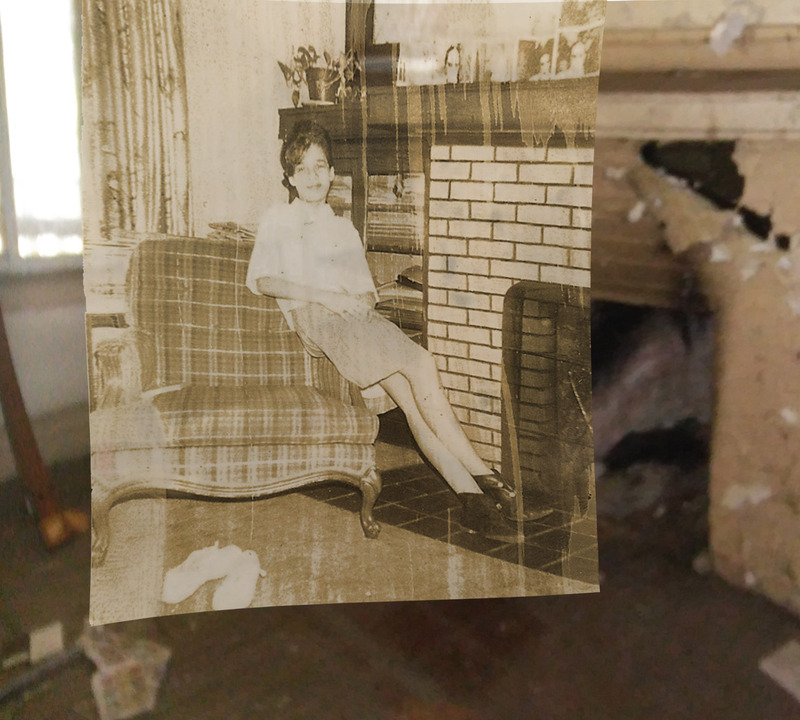 You can read more about my grandmother in this post Fannie Mae Turner Part 1. I was 12 and my grandmother was 70. 1958 in my grandmother’s backyard. 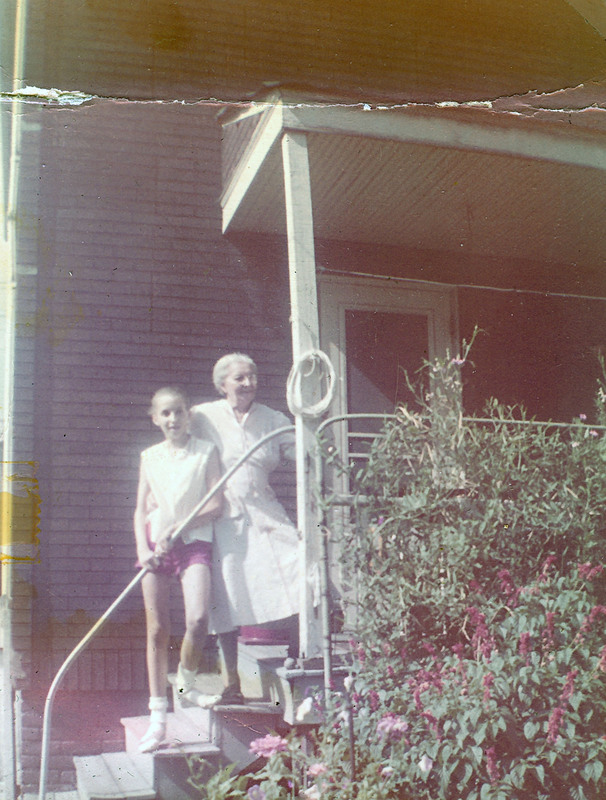 I am the same age as my grandmother was when we posed together on her back steps. Looking at the photograph below of me and my granddaughter made me think about the endless circle and the passage of time. My granddaughter was 12 and I was a a few months shy of 70. 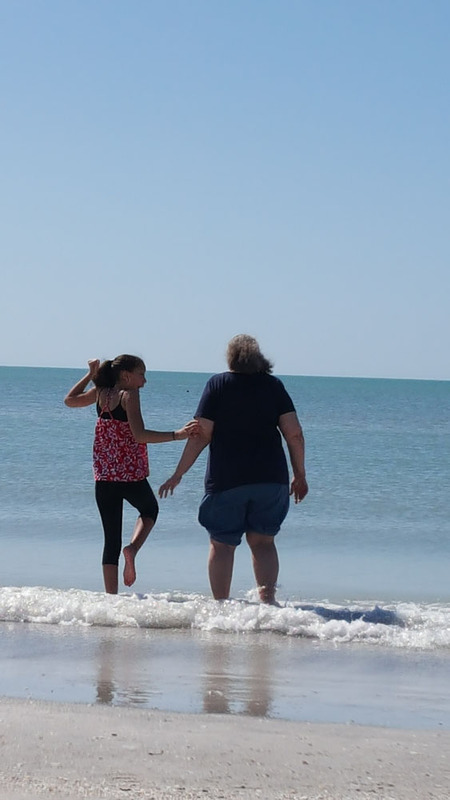 2016, we were at the beach in St. Petersburg, Florida and the water was freezing! My father, then Rev. 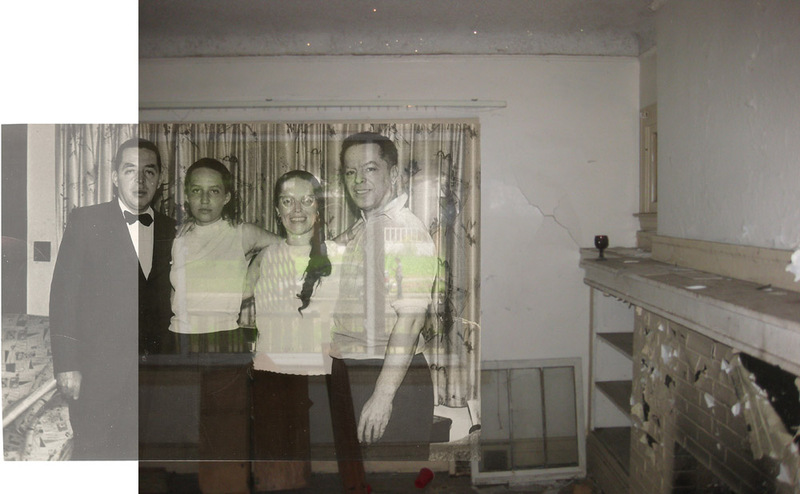 Albert B. Cleage Jr, me, my mother Doris Graham Cleage, my step-father and uncle Henry Cleage. Summer of 1966. Sitting on the couch, braiding my hair with my mother and sister Pearl. 1963. My son James walking across the room summer of 2017. I had just come in from the Association of Black Students’ Symposium at Wayne State in February of 1968. 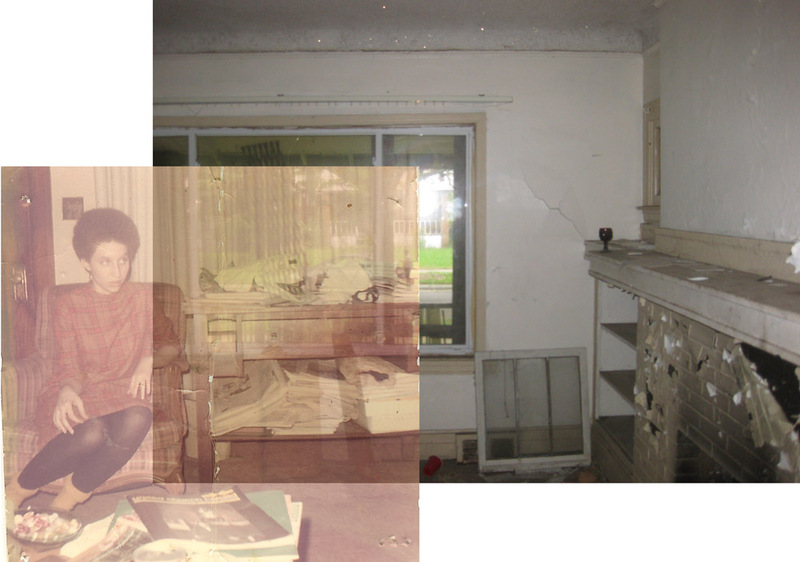 My cousin Barbara Elkins sitting in the front room. Early 1960s. Other posts about 5397 Oregon. 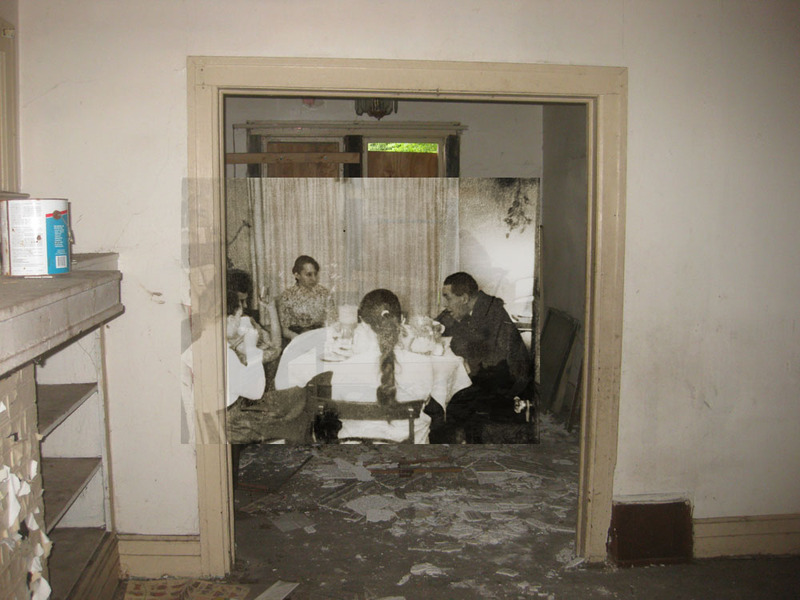 “O” is for Oregon Street – Memories of living in the house on Oregon. 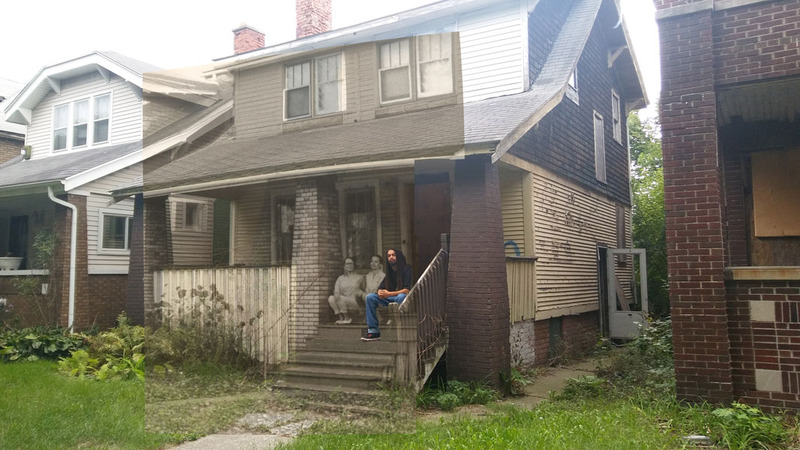 My son James sitting on the porch of our house as it is now in 2016. My mother and I sitting next to him in 1963. Recently my son James was in Detroit and visited many of the sites that were important in my life and my family’s life. He was lucky enough to have historian Paul Lee and Sala Adams as guides. 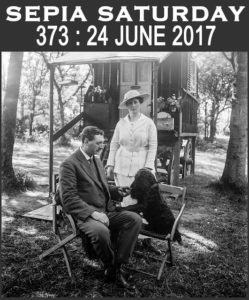 I have matched photographs from the 1960s with some of the photos that they took last week. Today’s photographs were taken at 5397 Oregon, on the West Side of Detroit. Ten years ago when I went around taking photos of places I had lived, there were people living here. Today the house and many in the area are wrecks. In one photo not shown here, I could see holes in the roof. The house on the left still has someone living there. The two houses to the right are also falling to pieces. It’s tragic. I would never have imagined that this area would look like this when I lived there some 48 years ago. Today I’ve been looking at the house I live in right now and thinking about which parts would fall apart first if it were vacant for a decade. I doubt it would be in as good a shape as this one because it was built with much cheaper materials. You can read about my life in this house here “O” is for Oregon Street. This is the first of a series. 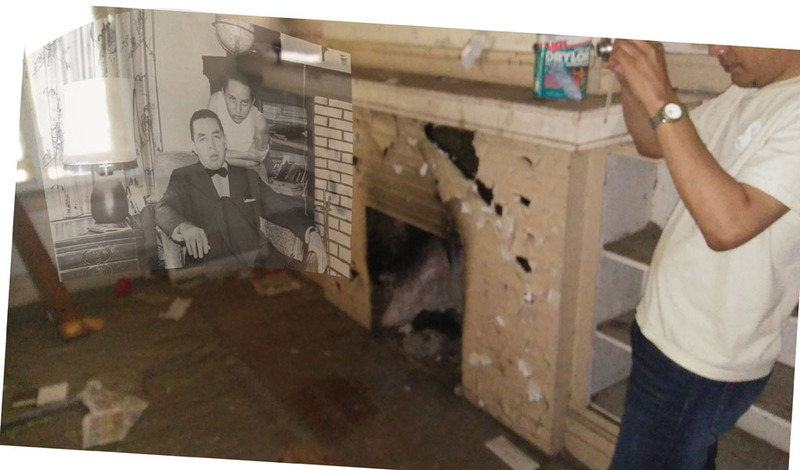 My father and I sitting in the living room in 1966 while Paul Lee takes a photograph in 2016. 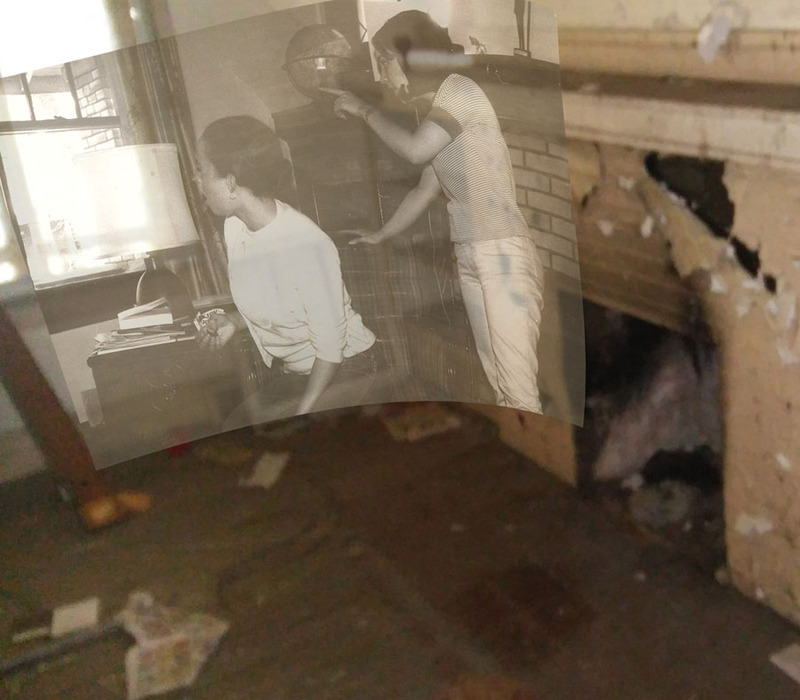 Around the dining room table in 1963 amidst the crumbling house of 2016. 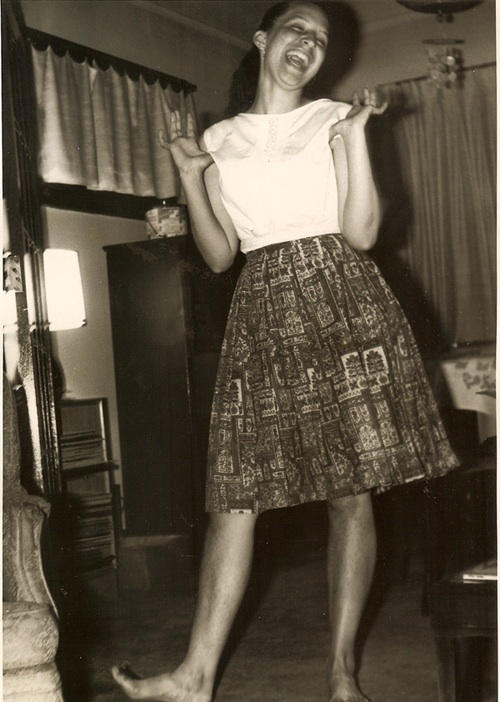 My mother in the kitchen in 1963, with the present day shambles around her. 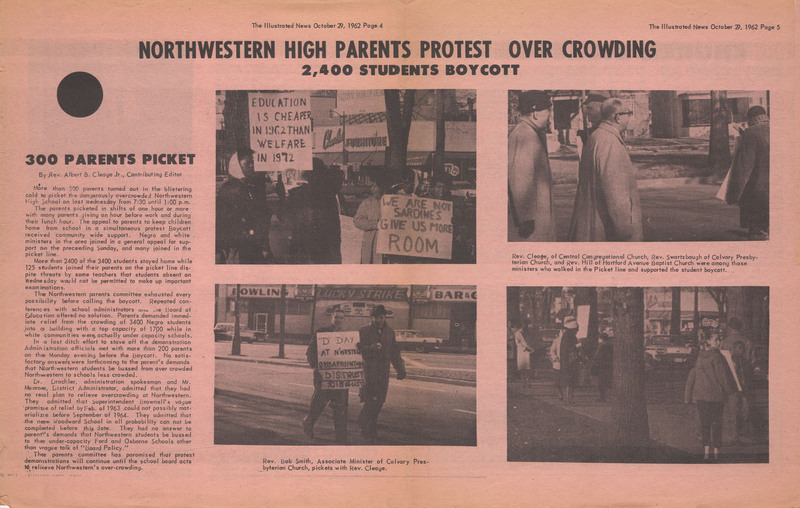 Reading about the present teacher’s sick out and the student walkouts in Detroit reminded me of this boycott of Northwestern High School in 1962. I was a junior and remember picketing in the cold. Several students from our church Youth Fellowship came and picketed with us even though they were students at Cass. Most of my classmates went to school that day, I particularly remember one of my friends said she was not going to stay home because she didn’t want to miss a day at school. 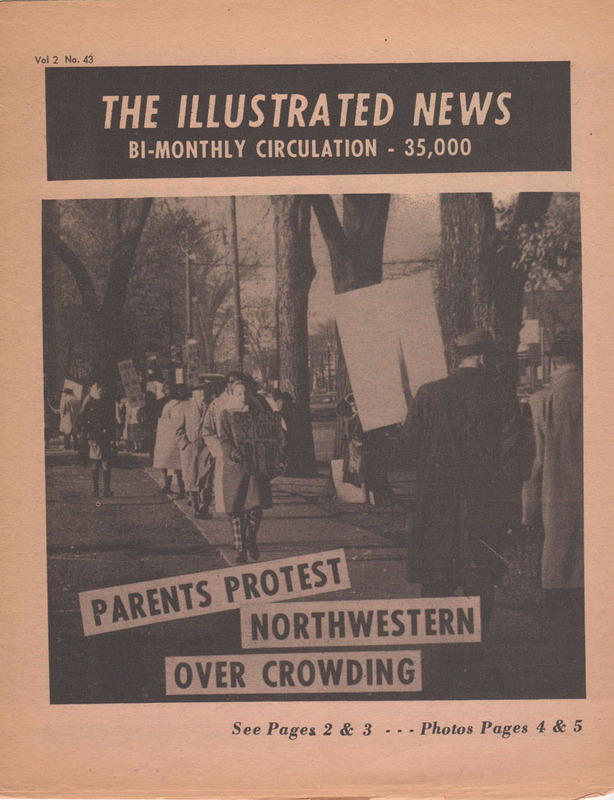 Sometime later students from Northwestern were bused out to the white schools with vacant seats. Click any of the images to enlarge for reading. My sister Pearl in the checked pants carrying the sign. My father on the far right side walking towards Pearl. 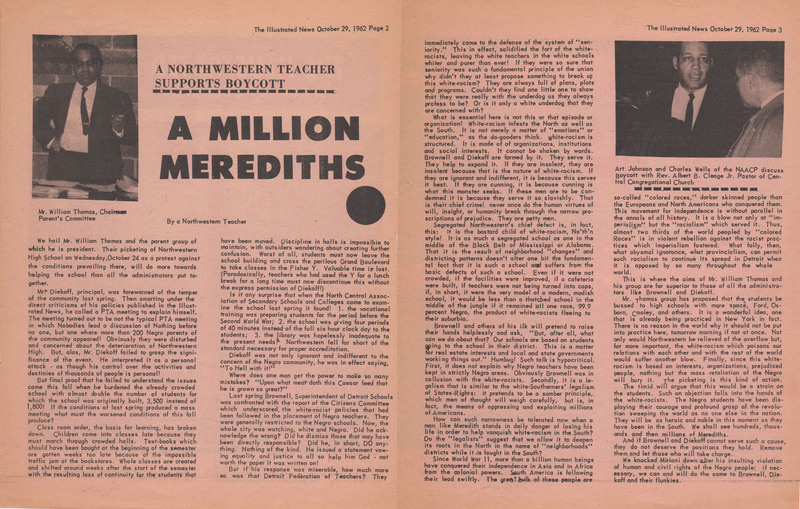 I am pretty sure “A Northwestern Teacher” was Ernest Smith, an activist and member of my father’s church. I am in the front bottom right photo, turning backwards with the high water pants. Tulani, Ayanna and James , soon after we started homeschooling. 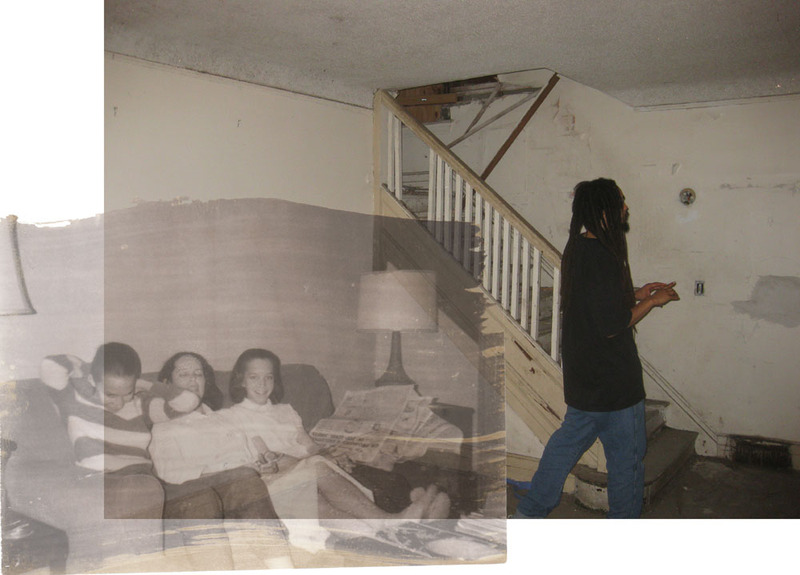 Tulani was 11, Ayanna was 13 and James was 7 when we began. 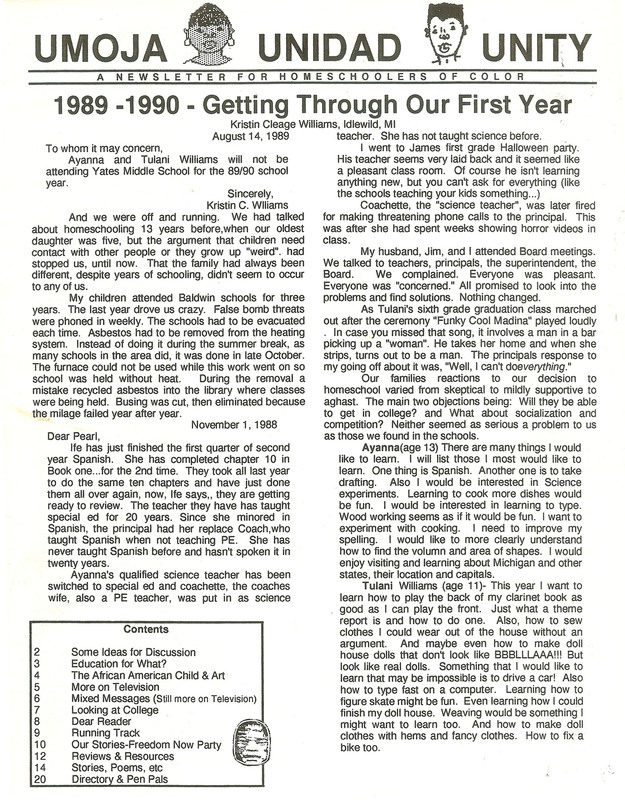 This is the story as I wrote it for a newsletter I once published. 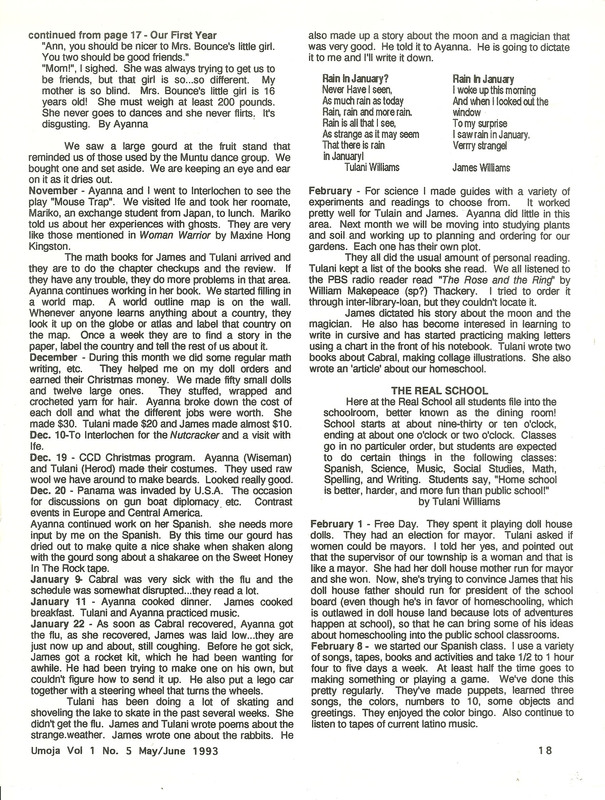 Click on the pages below to enlarge. 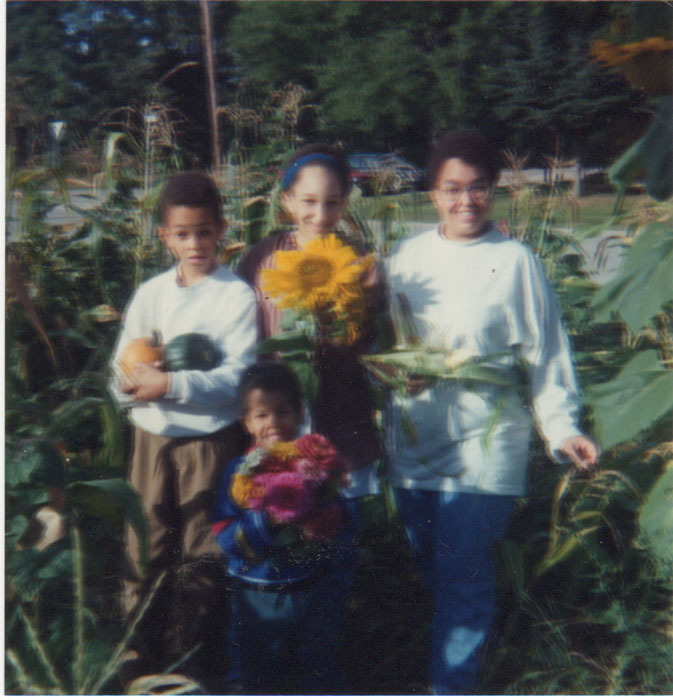 James, Tulani, Ayanna and Cabral holding flowers and produce from our garden. My mother and me coming out of the store. This store was located some blocks from our house on Oregon on Tireman Ave. Sometimes my mother called and ordered the food and the delivery guy brought it to the house. 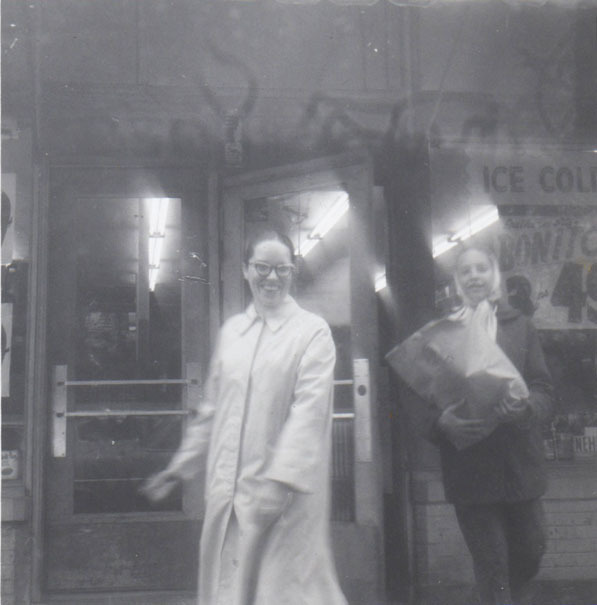 This day we went there in person and there is my mother in the glasses and me in a scarf with the grocery bag coming behind her. Henry must have been there to take the photograph. There is that strange grassy stuff at the top of the picture. It seems to be on a bunch of photos, maybe they were all taken on the same roll. My most memorial story concerning this store is the time my mother, my sister and I were on the way to the store. My sister and I were going in while my mother waited in the car and she was telling us what to get. One item was ground round and she was explaining the difference between hamburger (don’t get it!) and ground round (do get it!) when I heard my voice saying, “ok, ok. We’ll get ground round.” There was silence for a moment and then she said get out, get the groceries and walk home. That was about 5 blocks, with heavy paper bags of groceries. We made it. Probably she had little to say to us when we finally did get home with the ground round and the rest of the groceries. I was going to put a photo of the store as it is now but that area on goggle maps was vacant lots covered in cracked asphalt or brush. I can’t even tell where it was. You can read more about the house we lived in during this time and my life there in O is for Oregon. To see other Sepia Saturday Offerings, CLICK! 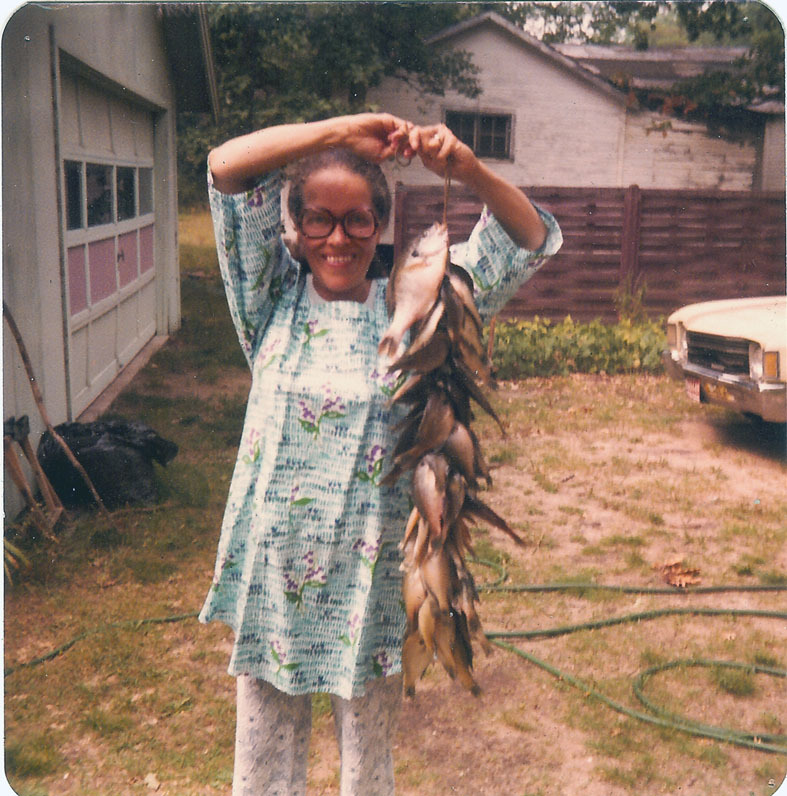 My mother, Doris Graham Cleage, holding a string of blue gills she and Henry caught in Lake Idlewild in 1977. 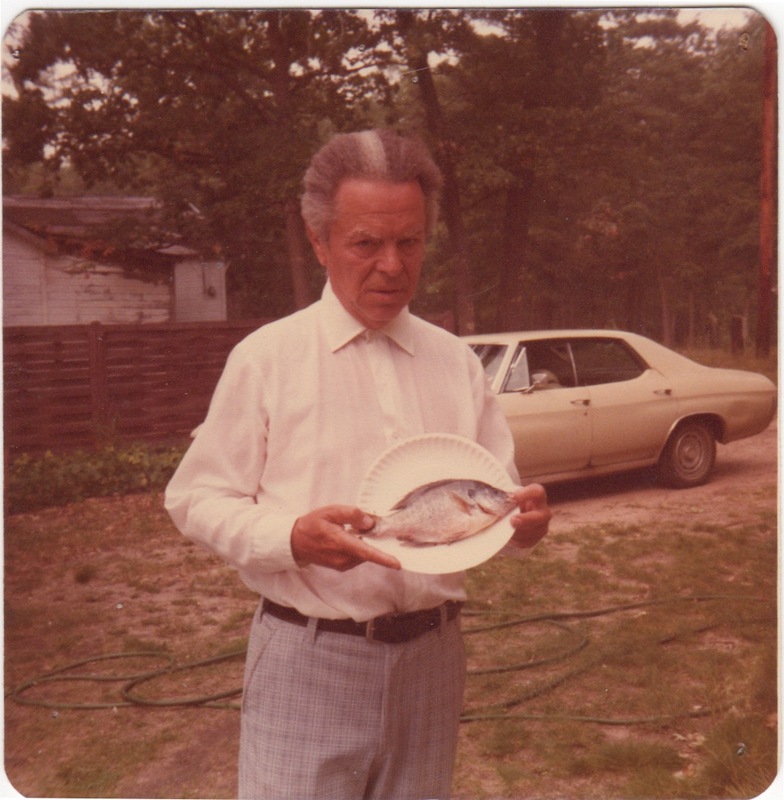 On the left my Uncle Henry is holding a ten inch blue gill that he and my mother caught in September of 1977 in a boat off of my Uncle Louis’ dock on Lake Idlewild. They would fillet them and freeze them in empty milk cartons. 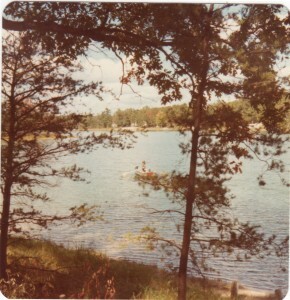 On the right is a boat in front of Louis’ cottage on Idlewild Lake. I can’t quite make it out, but could be them catching the above string of fish. 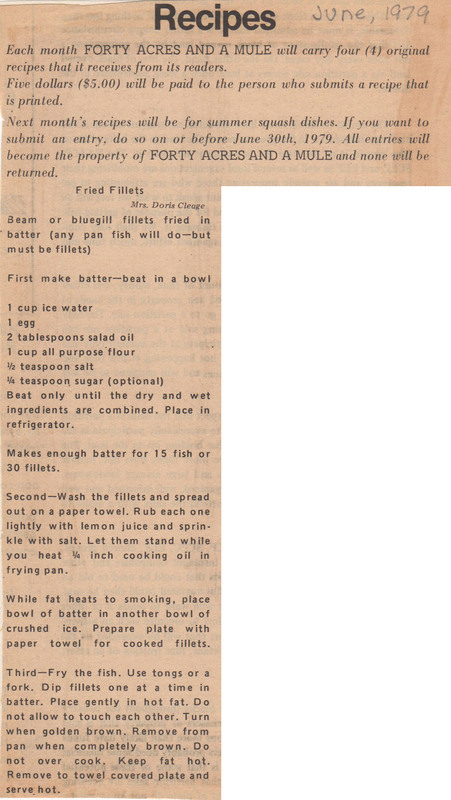 In June, 1979 my mother sent to the Emergency Land Fund’s newspaper “Forty Acres and A Mule” her recipe for cooking blue gills. I wish I had a plate of those blue gills right now. 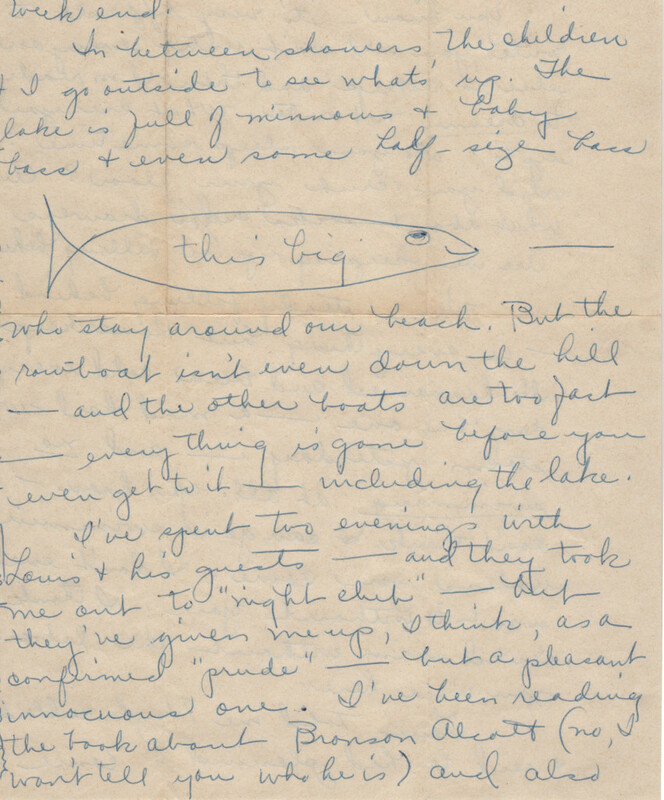 I just remembered this letter with a drawing of a fish that my mother wrote to Henry from Idlewild in 1956. From a letter my mother wrote in 1956 from Louis’s cottage in Idlewild. “In between showers, the children & I go outside to see what’s up. The lake is full of minnows & baby bass & even some half-size bass who stay around our beach. 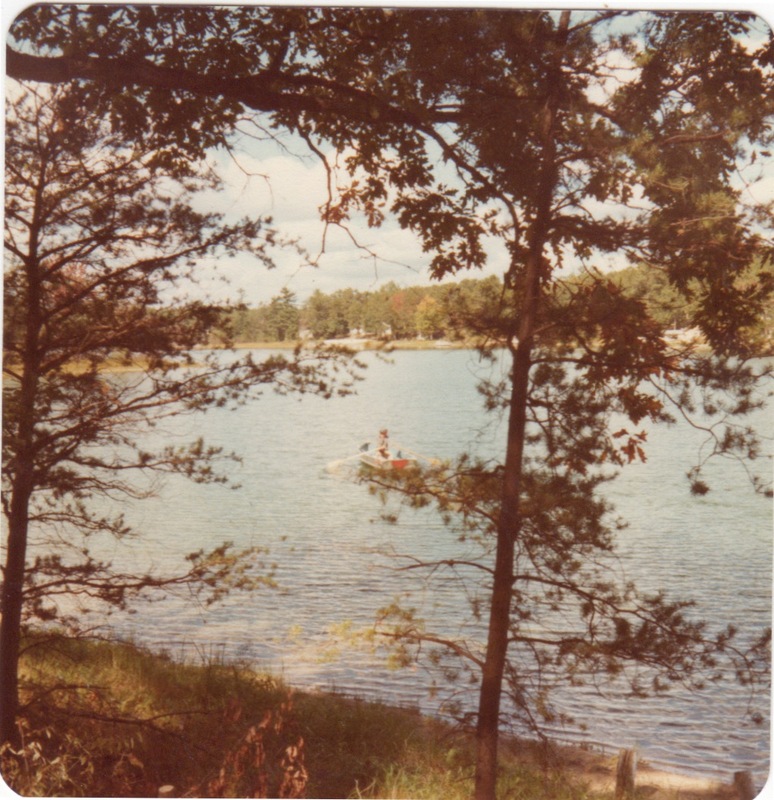 But the rowboat isn’t even down the hill – and the other boats are too fast – everything is gone before you even get to it – including the lake. 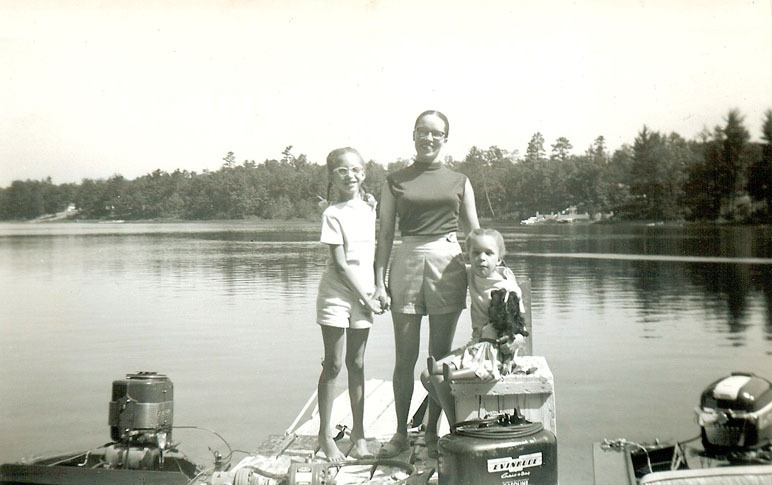 Me, my mother and Pearl on Louis’ dock that summer of 1956. I was going to write about the time when we hand printed fish one spring in Idlewild. Unfortunately, we don’t seem to have saved any of our prints. I did not know printing fish was a Japanese art form called Gyotaku. Ours were not as lovely as those at the link, but they were interesting. Note: My sister tells me she has some of those prints. Whenever she finds them, I will add them to this post. To read other fishy Sepia Saturday offerings, CLICK!